Whether you are a novice hunter or a seasoned one, are new to sports shooting or have been target shooting for many years, your choice of rifle scope will be one of the key determinants of your shooting accuracy and success. With the best rifle scope you can easily zoom in and out of your target, precisely lock on to where you want the shot to land, shoot easily even in low light conditions and most importantly get increased shooting precision as most scopes have visual markers. However, finding a good rifle scope is not always an easy task even for professionals as there is a lot of technical jargon to understand and many models and types to choose from. And to help you get a scope that will help you shoot accurately and give you many other benefits, below we review 10 top rated rifle scopes and also explain the vital factors to look out for when shopping. You can also read other product reviews such as rifle scope for the money, rifle scope under $300, rifle scope under $500, air rifle scope, scout rifle scope, thermal scope, ​​sniper scope​​​. With its fully multicoated optical system, generous and consistent eye relief and a solid overall construction Nikon’s Buckmasters II is the best rifle scope for the money as it is hard to get anything better without spending tens or hundreds of dollars more. The multiple layers of anti-reflective compounds used to coat the glass surface are designed to ensure that when using this scope you always get bright and vivid pictures and also the optimum transmission of light even at dawn and dusk. The 3.6-inch eye relief is quite good and should be enough for most hunters, and the 11.3 to 33.8-foot field of view is also as good as they get at this price range. You can use this scope in any weather conditions and environments comfortably as it is completely shock, water, and fogproof. And it also provides precise hand-turn reticle adjustment. Although there is no side focus on this scope, this should not be a deal breaker because at its price range you will hardly get a good model with one. Leupold VX-1 is designed to be ideal for almost any situation where you might need to use a scope whether you are hunting or sports shooting. The scope has a precise finger click adjustment designed to make windage and elevation adjustment quick and easy over the lifetime of the scope. This rifle scope is designed to be completely water and fogproof and it also features a highly durable construction but still lightweight enough to ensure it does not add a lot of weight to your firearm. With this scope, you also get bright sight picture even when shooting in low light conditions thanks to the multicoated lens and extreme visual field clarity across the field of view. The adjustment could be better with a little fine tuning, but you should not have any difficulties with this scope once you get used to it. Burris makes this scout scope to cater to any shooting needs, and they do this by giving it a longer eye relief for super fast target acquisition with both eyes open. The high-quality rifle scope is made with a coil-spring assisted posi-lock that will make adjustments easy and will firmly and securely lock the accuracy in place. It also has a larger diameter and fully multicoated lenses that are designed to allow more light in for brighter and clearer images and also to ensure you get a larger field of view. By going through several nitrogen purge cycles, this scope is made to be recoil, water, fog and shockproof which enhances its performance and makes it ideal for use in almost any situation to cement its place as one of the best scout rifle scopes out there. And because it is only 9.7-inch long and 13 ounces heavy, you can be sure that it is not a large and bulky scope that will add a lot of mass to your firearm. The absence of illumination means that this scope will not be very useful in really low light conditions, but unless you are planning to shoot at night this scope should still work well for you. For an under $400 rifle scope, the Leupold VX-2 is as good as they get. And it is made for use in almost any shooting situation and weather conditions. This compact rifle scope is also well-built and designed to last for many years as it features highly durable but lightweight aluminum construction and it is absolutely water, fog and shockproof. It has a versatile 3:1 zoom ratio that makes it possible to adapt your scope to different distances and with more spacious 30mm main tube that is designed to accommodate lots of features and wide adjustment ranges. The scope will offer a generous eye relief of 3.7-4.2 inches and the 14.6 to 34.6 ft at 100 yards field of view is also quite good for its price tag. Also, this rifle scope will offer 1/4 MOA precision finger click adjustments for elevation and windage to make it easy to fine tune the scope setting to suit your particular shooting situation. 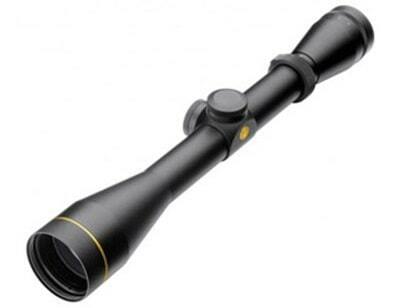 The turrets look cheap and plastic, but you can buy this scope with confidence that it is well built and with top quality parts as Leupold is one of the best rifle scope brands and they hardly ever disappoint. If you are a more seasoned hunter or shooter that uses the AR-style rifles and do not mind spending a little extra cash on your scope, the Nikon M-308 is a great buy. It uses a fully multicoated optical system that will ensure that shooters always get a superior light transmission and maximum picture brightness even in low light conditions. And with the 4x zoom technology, this scope will give users more versatility as it will allow for a wider magnification range. The scope also has a smooth zoom control for easy changes to the magnification. Thanks to its trajectory-compensating BDC reticle, this is also one of the best long range rifle scopes, and it will allow for optimization using the Spot On technology to match any caliber and load. The one-piece construction of the main body tube makes this a sturdier and more durable scope, and it is also built to be shock, water and fog proof. Despite this being the priciest scope on our list, you will get what you pay for as it is not only well-built but also easy to use and highly effective in enhancing shooting accuracy. There are many things that make the UTG 3-9x32 one of the best air rifle scopes not only on our list but also on the market. However, the red/green dual illumination is one of the key things that shooters will love most as it makes it ideal for many applications. Also, this scope features a completely sealed design for maximum reliability as it ensures absolute fog, water and shockproof. The scope is built on a true strength platform that will offer reliable and long lasting performance as it makes it rugged enough to withstand almost any environment and condition. Other things like the parallax-free view from as little as 3 yards to infinity, 2-inch sunshade, flip-open lens cover and range-estimating mil-dot also make this an even more useful and high-performing scope. Setup instructions are a little wanting and do not seem to be very beginner-friendly, but the good news is that this is almost an effortless scope to set up for anyone with a little experience with rifles. Being one of the cheapest models among our rifle scope reviews, the Nikon BDC 150 is ideal for hunters and sports shooter shopping on a budget. But, despite this being an under $200 scope, it is still well-built with some superior features to help enhance ease of use and accuracy when shooting. It has a simplified turret adjustment system to make it easy for shooters to fine tune their scope to suit their particular situation when on the field. The scope also has a fully multicoated optical system that delivers maximum light transmission for clearer and brighter pictures. These lenses are also made to be more eco-friendly as they are manufactured with no arsenic or lead. 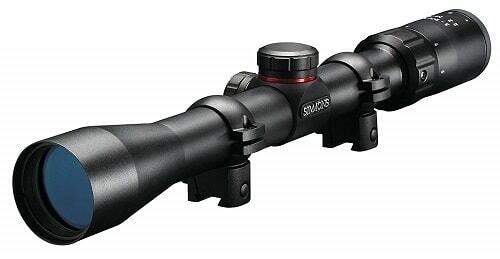 With the durable but lightweight aluminum and polymer construction, this scope is also made to offer many years of great service. And this is an easy scope to sight that will hold zero perfectly. Although it can get a little fuzzy at distances of 80 to 100 yards, this is not a deal breaker as it is calibrated for 50 yards. Simmons 511039 is the cheapest scope on our list and given its quality and features, it also offers great value for money as you need to spend tens or hundreds of dollars more to get anything better. The scope uses some high-quality and fully coated lenses that are designed to ensure you always get bright and clear images by enhancing the transmission of light. There is also a parallax correction preset from the 50-yard mark to infinity, and this will minimize the likelihood of ever getting fuzzy images regardless of the shooting distance. The SureGrip rubber surface also helps to make this one of the best value rifle scopes as it makes adjustment easy in any condition including when you are wearing gloves. A quick target acquisition eyepiece, dovetail mounting rings that are included in the package and the absolute water, shock and fogproof construction also make this a nice rifle scope. While the tactile clicks that the turrets make are not very noticeable and there is a bit of distortion on the edges of the field of view, these are minor issues that most shooters will not even notice, and they do not affect the performance of the scope significantly. Vortex Optics' Diamondback is not only one of the best rifle scopes for hunting on our list but also one of the best for shooting from various ranges thanks to a highly versatile design. Like most other high-quality scopes, its lenses are fully multicoated to ensure that shooters and hunters always get clear and bright enough images from dawn to dusk. And with its fast focus eyepiece, you also get quick and simple reticle focusing. With the metal-on-metal turret, it is also possible to zero reset after sighting in and there are also some audible clicks that will make adjustments even easier. The solid one-piece aircraft-grade aluminum alloy construction with an anodized finish, this scope is not only highly durable but also shockproof and will be handy in camouflaging the shooter’s position. 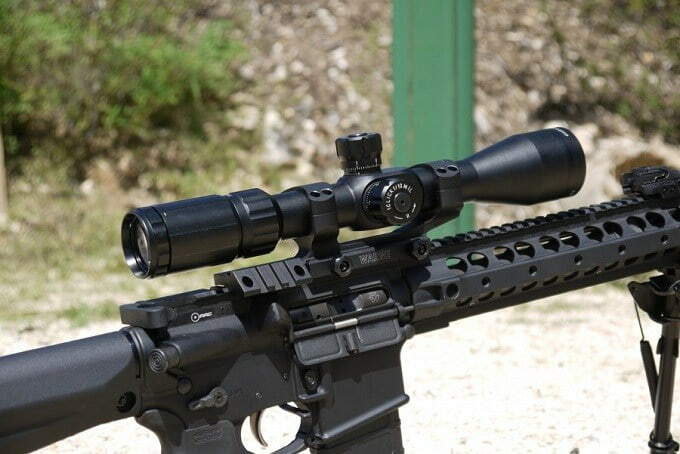 Although the glass can get a little blurry on the edges of the field of view when at high magnification settings, this is a typical issue with most rifle scopes. Hence, it should not prevent you from buying this amazing scope. For tactical shooters such as those in the military and law enforcement looking for a reliable scope for use in highly demanding situations, Bushnell's Elite Tactical is perfect for the job. 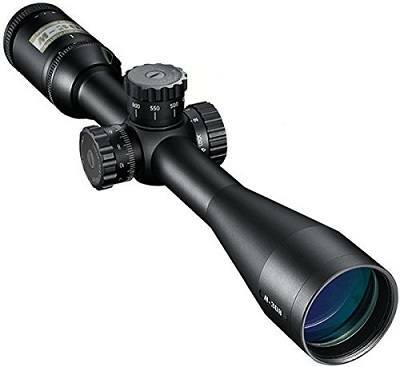 The top-notch quality scope features ultra-wide band coating and fully-coated optics that are designed to ensure excellent light transmission and image clarity. And this also makes this one of the best low light rifle scopes. There is also an effective anti-fog technology that enhances clarity by keeping the lenses clear in any weather condition. The 6 to 24x magnification is one of the highest on our list, and if you combine this with the 50 mm objective lens, this will be a perfect scope for long range and most other shooting situations. Also, it features a side focus parallax adjustment to provide adjustable long range accuracy and a durable 30-millimeter one-piece main tube that is argon purged to provide complete water, shock and fog protection. Despite this being quite a pricey rifle scope, for a tactical scope, it is still quite reasonably priced and its features, capability, and actual performance make it worth every buck. While the market is flooded with all kinds of rifle scopes from different manufacturers, it is vital to make sure that you do not get swindled into buying cheap knockoffs from unknown brands. Sticking with a scope from a reputable name increases the likelihood of getting something that will not only make shooting easier and more accurate but will also give you many years of service. These top brands will also offer some long warranties with favorable terms. 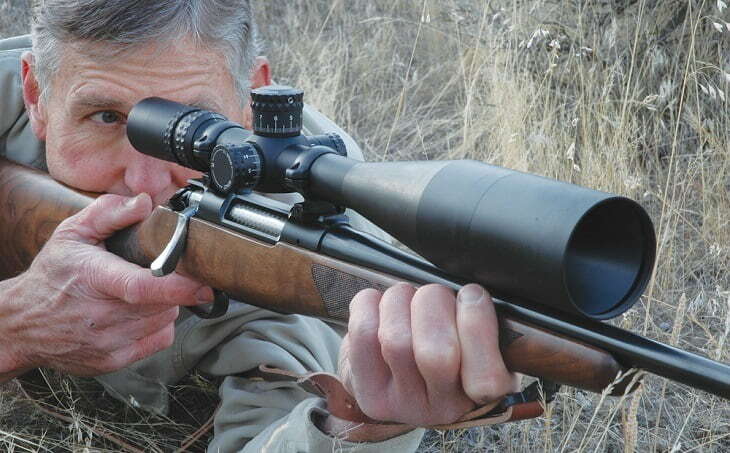 These best rifle scope brands include the following six. Since its inception in 1907, Leupold has been making high-quality optics for various applications, and they are now one of the most reputable brands when it comes to rifle scope manufacturer. For years now the company has also been the go-to option for the USA government when it comes to scopes for use by the Navy Seals and US Marine Corps. Leupold makes everything from the simple rifle scopes for hunting to the more complex and incredibly powerful ones for tactical and military use. Although you can still find cheaper scopes than what Leupold has to offer, it is hard to find better quality at the same price range as its products. Nikon is a household name when it comes to cameras but what many people might not know is that it also makes some of the best rifle scopes on the market. And this is mostly due to the fact that they have been making optics for many decades and understand what defines the best ones for hunting. Their excellent optics is what makes their scopes stand out from the many options out there. Also, the company is credited with being the first to achieve up to 95% of light transmission on rifle scopes. They also have an outstanding catalog of rifle scopes to cater for all possible scope needs and also make other things like binoculars, rangefinders and spotting scopes. Despite not having been around as long as many other top rifle scope brands, Burris has still managed to establish itself as one of the most trusted brands since its founding in 1971. Although the brand also has a wide variety of products and models on the market, it seems to concentrate more on making hunting, tactical and competition scopes and their mounting systems and hardware. 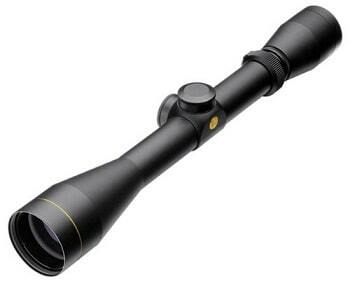 The company is also known for having more fairly priced scopes and for being more innovative with its scope design. For example, their Eliminator series will incorporate rangefinders and provide holdover calculations for the cartridges. Like Burris, Vortex has also not been in the game for a long time as it was only established in 1986. But, it is still a top brand with some amazing rifle scopes on the market. One of the key elements that make it one of the best rifle scope brands is that their products strike a perfect balance between price and optics quality. Apart from rifle scopes, Vortex also makes rangefinders, red dot scopes, spotting scopes, monoculars, and various other related products. And besides being high-quality, their scopes are also quite affordable. Bushnell is probably better known for making golf equipment like rangefinders, but they have also been making rifle scopes for more than six decades now. The company makes some of the most affordable but still high-quality rifle scopes, and so if you are shopping on a tight budget, Bushnell is a great brand to buy. Besides having highly affordable rifle scopes that can retail for as little as $20, Bushnell also has some more advanced models for tactical and military use that can cost up to $3,000. This wide variety of products explains why they control one of the largest market shares. As you shop for a high-quality rifle scope, Barska is another top brand that you can trust to have something that will work well for you. Barska is an American company that mostly deals with sports optics but their line of products also includes other things like binoculars, telescopes and spotting scopes. 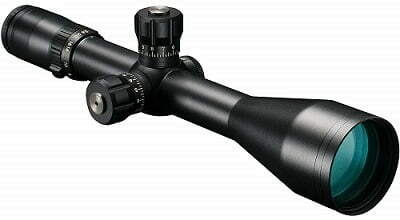 Most of their scopes are also highly affordable and well made and are designed to suit both hunting and shooting needs. But Barska might not be the best for those willing to spend more cash on their scopes as there are better but more expensive options. Scopes are the eyes of the rifle, and so compromising on the quality will often lead to disastrous results when it comes to accuracy whether you are hunting or shooting for sports. But the good news is that there are many good rifle scopes in the market, and you will only need to keep the following things in mind when shopping to ensure that you get the best one for your firearm. Do you intend to use your rifle for typical tasks like hunting and target shooting or other more complicated things like long-range shooting competition, home defense or tactical use? How you use or intend to use the rifle will determine the right scope for you as they come with different optics, types, and styles for different purposes. For example, a rifle scope meant for tactical use should enhance speed and precision while also being able to withstand abuse and take a beating by being fogproof, shockproof and waterproof. The best rifle scope for hunting deer and other game, on the other hand, should come with field grade optics and a robust design. It should also be made to withstand nature and offer excellent low light performance. Rifle scopes will come in different types, styles, and models but you can easily classify most into the following three categories. Fixed scopes are the simplest of the three types and they are the kinds that will not allow you to adjust the magnification. Despite being less complicated than the variable scopes, these scopes will require you to know exactly the specs and settings that you need when shooting. Also, they will only be ideal for certain firearm types and occasions. The variable rifle scopes are by far the most common type of the three and also what many recreational and professional shooters will prefer to use. They are designed to allow shooters to adjust the magnification of the target. Most will come with several magnification variables that can be very useful whether you are hunting or sports shooting. 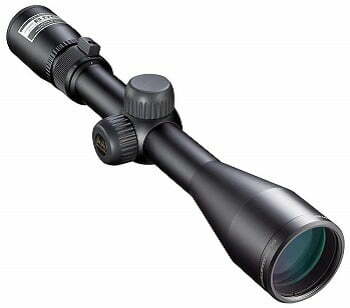 Night vision scopes are specialty scopes that are built for shooting at night or in low light conditions. 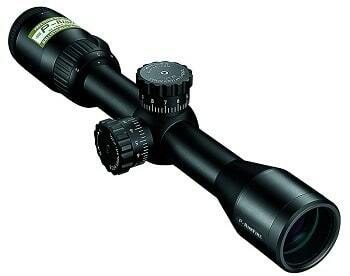 You can get both fixed and variable scopes with night vision but these are quite bulky and expensive scopes. Reticles or crosshairs are visual markers on scopes that will give shooters an aiming point and show them where the shot will go when they pull the trigger. Thereticlesy will come in various designs and it is important to pick one that suits your intended activity and distance that you plan on shooting. Here is more information on the three most common reticle options. BDC reticles are designed to compensate for bullet drop effect which is the effect that gravitational pull will have on a bullet when it is traveling through the air from your rifle towards the target. These reticles will have extra marks on the bottom which will allow you to line up you short while taking into account bullet drop. BDC reticles are a great choice for long range shooting as they ensure more accuracy. If you are a hunter, the Duplex reticle is your best option. It is by far the most common reticle for hunting and many hunters love it because its thick outer crosshairs tend to stand out easily against a target. These reticles will also combine thick and thin crosshairs to allow hunters to aim at moving targets easily and quickly or aim at smaller targets without obscuring them. When you need to estimate the distances between you and the target when shooting and this is more so for long distance shooting, the mil-dot reticles are the best choice. Mil-dot reticles will allow you to compensate for both wind drift and bullet drop by making certain calculations. Despite mil-dots being the best for long range rifle scopes, they can be complex to use and will require more practice, and so they are not recommended for beginners. Lenses are one of the most critical parts of a rifle scope and there are typically two lenses on the scope which are the larger objective lens and ocular lens which is the one nearest to the eye. Although there are many things that you need to consider when it comes to the lenses, the size or diameter of the objective lens is often the most important. The diameter determines how much light the scope can gather and hence the size of the field of view. Typically, the larger the objective lens the better as it means the scope will gather more light and create a larger field of view. Also, more light means that you will have a brighter view even under low light conditions. But, also keep in mind the fact that the larger the lens the larger and heavier the scope will be. You need to decide whether you want something easy to carry for long distances or a scope you can comfortably use in low light conditions. 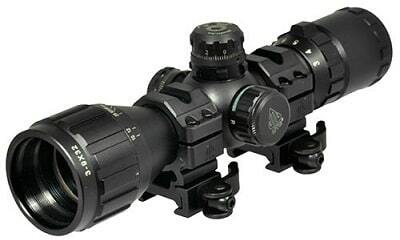 A parallax adjustable scope will allow you to focus on distant targets more precisely. It is an essential feature if you plan to be shooting from distances that are longer than 100 meters and using high magnification settings. Parallax adjustment is vital in situations where even small sighting errors can cause huge inaccuracies. Most scopes will have these adjustments on the scope's objective, but the more expensive brand and models will have a more practical and easier to handle side focus. But as handy as parallax adjustment can be, it is important to note that it can drive up the price of the scope. Consider whether you will be hunting from longer distances and with high magnification settings to determine whether you need a rifle scope with this feature or not. Whether you are on the market for the best low light rifle scope, something for long-range shooting or even a simple recreational scope, the price matters a lot. 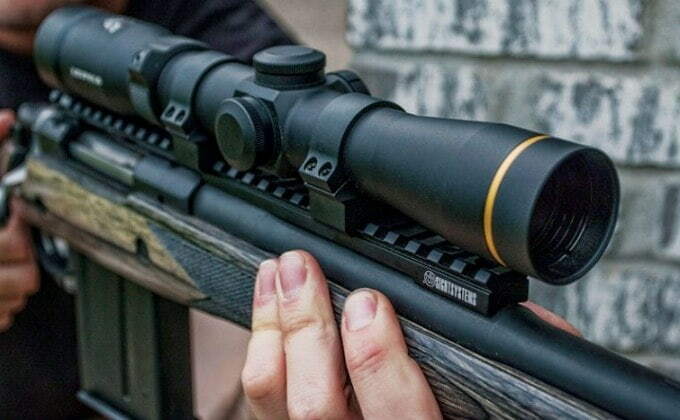 Rifle scopes will come in different price ranges and with different features, and so you not only need to decide how much you are willing to spend but also the features and capability you want. You can get under $200 scopes with all the basic features that will be perfect for new shooters and beginners and the more advanced and feature-rich models that will retail for upwards of $500 and will be perfect for more experienced shooters and professionals. When it comes to buying the best rifle scope, you will need to first identify the activity that you will be using the rifle for and the environment you will be using it. Once this is out of the way, finding the right scope will only require you to consider things like the type, reticle option, parallax adjustment, and the price. Although ultimately the rifle scope choice will be up to you, it is always good to compare several of them before making up your mind. And with our top 10 rifle scope reviews above, this process should be a lot easy.